The Greatest Showman soundtrack is getting a makeover. Atlantic Records is gearing up to release a new version of the hit movie's soundtrack, with covers from a wide array of pop artists taking on the songs that have resonated in pop culture as a result of the musical's success. 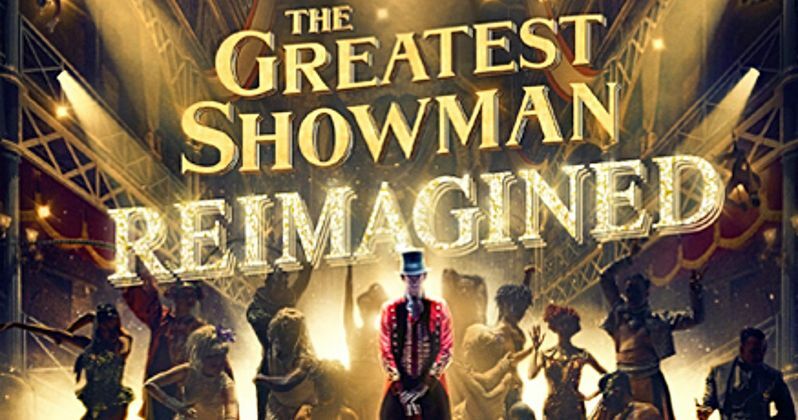 The Greatest Showman: Reimagined, is set to hit shelves and digital retailers on November 16 and looks to further capitalize on what has already been an incredibly successful endeavor. An impressive stable of talent has been assembled for the covers album. Kelly Clarkson is on board to do a rendition of Never Enough, Pink will tackle A Million Dreams and Panic! At the Disco will do The Greatest Show. The movie's massive breakout hit This Is Me is getting a remix that will still feature actress Keala Settle, but will also include Kesha and Missy Elliott. Atlantic Records president Kevin Weaver had this to say about how the project came together. "Last January or February, when we were doing 100,000 albums a week in the U.S. and it was number one in most of the territories of the world, I had a light bulb moment. We really realized we had something at the scale of what this was becoming, and we were quickly like, all right, do we want to do a deluxe version of the album for Mother's Day? What would that look like? Do we want to take the original cast album and add a couple covers to it, or add some additional demos? But it felt like it warranted something much more significant and robust. Then you had people like Pink and Selena Gomez and other artists who were on social media posting themselves dancing to and singing the songs. And that was part of kind of what went into my epiphany that we have something that's not only connecting with the masses, but it's connecting with artists." When The Greatest Showman was released by Fox last December, it got off to a very modest start. Critics were pretty soft on it and its opening weekend take was just $8.8 million. However, word of mouth and the star power of Hugh Jackman proved to be very strong and the movie went on to earn $434 million worldwide. A great deal of that success is owed to the movie's soundtrack, which comes from the Oscar-winning duo Benj Pasek and Justin Paul, who were also behind La La Land. Related: Can Jumanji and Pitch Perfect 3 Take Down Last Jedi at the Box Office?